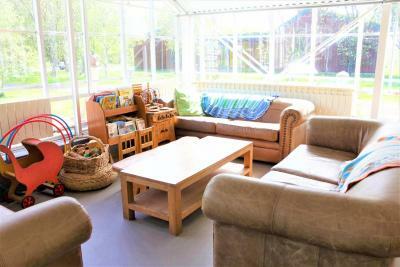 Lock in a great price for Solheimar Eco-Village Guesthouse – rated 8.7 by recent guests! Great stay near the geyser and other attractions. Rooms are clean and the breakfast is great. Highly recommend staying here if you’re planning to stay nearby. The included breakfast was left for us in a basket in the refrigerator. It included; fruit, juice, milk, yogurt, bread, jam and cheese. Coffee was available to make yourself as were containers of cereal. We washed our own plates and put away when we were done. 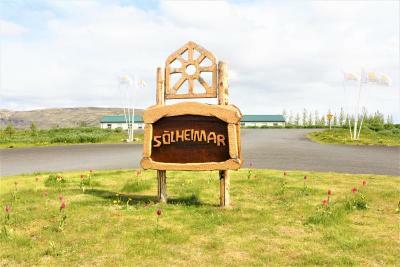 Our stay at Solheimar was great! 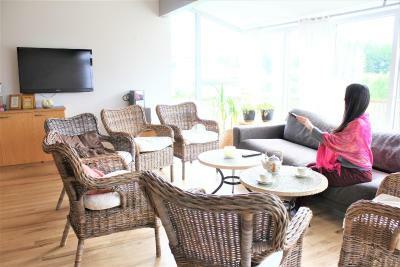 We were in the Brekkukot guesthouse which had a very comfortable living room, large kitchen, and beautiful sunroom. The staff made traveling with our 18 month old a breeze. They provided her with a large portable crib (probably would have fit up to a 3 year old) with lots of comfy linens. Breakfast was simple but delicious and fueled us for days of exploring. Our breakfast typically included bread with butter and jam, fruits, fresh vegetables, cheese, milk, yogurt, and fruit juice. Finally, the Ecovillage was such an interesting place to stay. 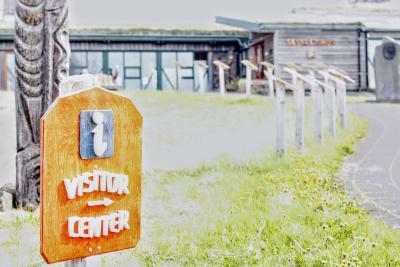 It was great to see locals out and about and to see the visitors’ center. Overall a wonderful stay!! 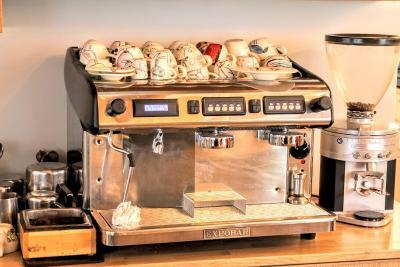 This property has several guesthouses and another building where breakfast is served. Very nice, clean place. Fully furnished kitchen in the guesthouse was great - we cooked dinner one night. Also a TV room available for use. 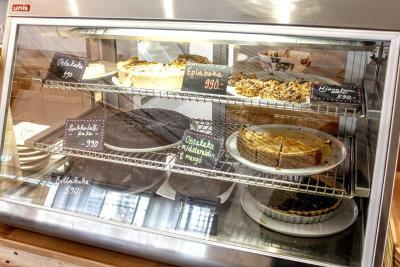 the check in process was easy and nice, the staff in cafe was extremely helpful and sweet. breakfast was the best continental breakfast I have ever had. Great energy at the property. Warm helpful staff. Open areas were spacious and bright. Well equipped kitchen. Our private room had lots of space and a desk. We were supporting a worthwhile cause. 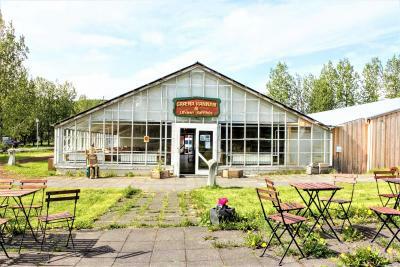 The residents managed the simple local breakfast of homegrown tomatoes and cucumbers, skyr, cereals, breads, juices and coffee. 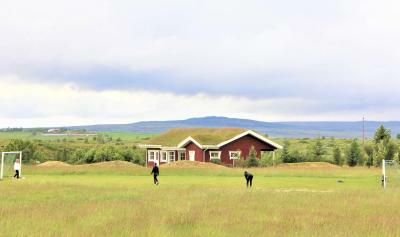 Spacious room, good location in the middle of the golden circle, very friendly staff. Wonderful place with nice room and shared kitchen. 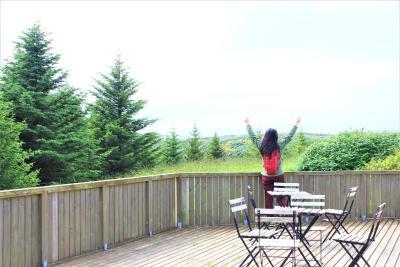 Solheimar Eco-Village consists of 2 guests houses called Brekkukot and Veghus, both located in Sólheimar village. 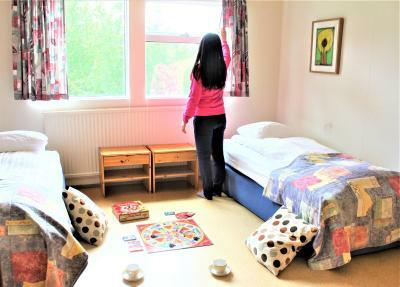 All rooms and apartments offer free WiFi access and mountain views. 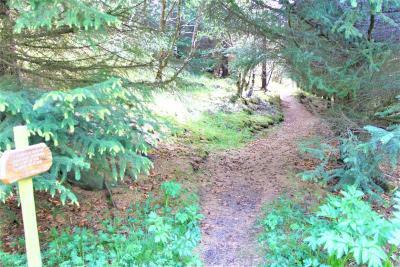 Thingvellir National Park is a 30-minute drive away. Accommodations options have either private or shared bathroom facilities. 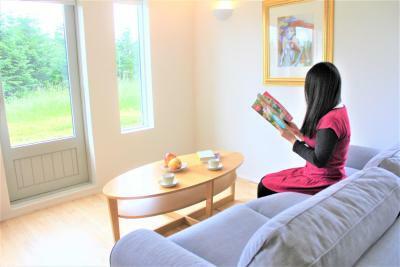 All apartments feature a kitchenette and a seating area, and some also include a flat-screen TV. Leisure facilities include an environmental center, as well as a garden with a children's playground. 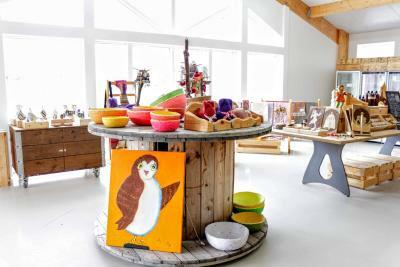 A church, mini-market and gift shop are also located on site. 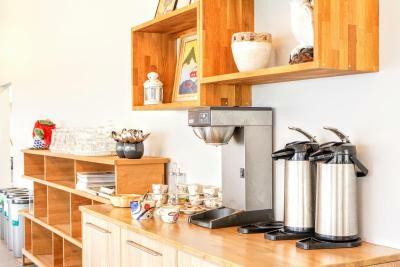 Guests have access to a shared lounge and kitchen. 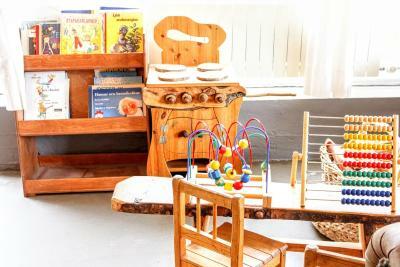 Solheimar Eco-Village is a community known for its sustainability and offers opportunities to individuals with special needs. 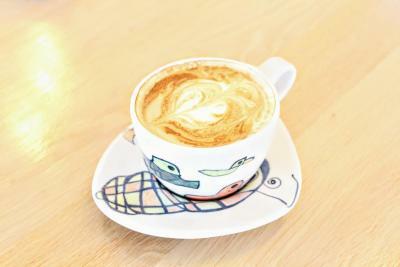 Graena Kannan Café is located in the village. 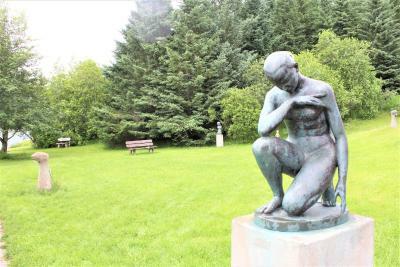 Reykjavik city center is a 1-hour drive away. 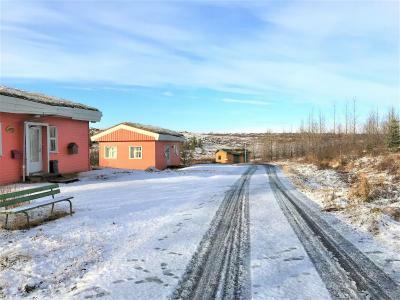 This property also has one of the top-rated locations in Sólheimar! Guests are happier about it compared to other properties in the area. 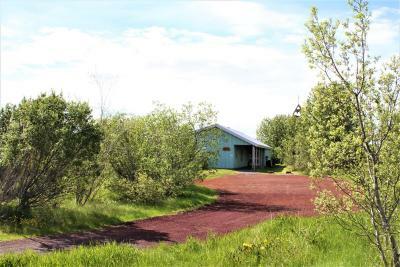 This property is also rated for the best value in Sólheimar! Guests are getting more for their money when compared to other properties in this city. 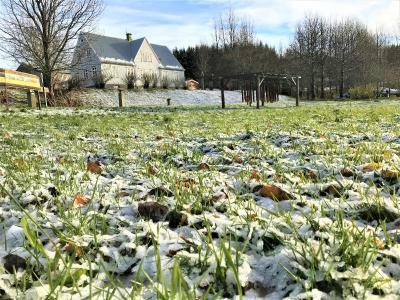 When would you like to stay at Solheimar Eco-Village Guesthouse? This apartment has a kitchenette, seating area and flat-screen TV. This apartment features a kitchenette and seating area. 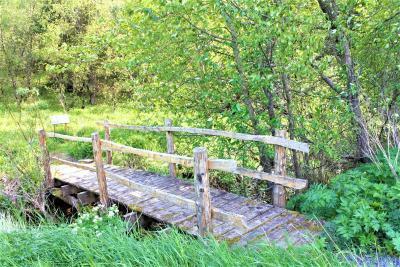 House Rules Solheimar Eco-Village Guesthouse takes special requests – add in the next step! 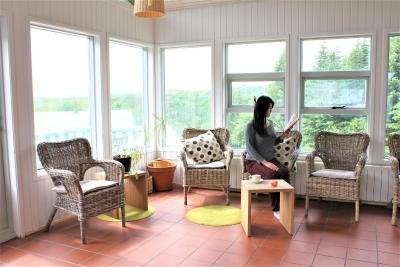 Solheimar Eco-Village Guesthouse accepts these cards and reserves the right to temporarily hold an amount prior to arrival. If you expect to arrive outside check-in hours, self-service check-in is possible. Check-in information will be found at the window of the guest house. Please contact the property for more details. Better equipments in the kitchenett would be good. Very good facilitys and nice staf. Good kitchen and conservatory area. It was very warm. We stayed for two nights! I really liked that everything was eco-friendly and that they offered various ways to recycle. Also, the room was really nice and had all the amenities we need to cook ourselves. Would definitely stay again or recommend anyone to stay there. Beautiful lodge with a big kitchen/living area, lovely bedroom and wet room bathroom. We were lucky to have the entire lodge to ourselves and it was a wonderful calming place. 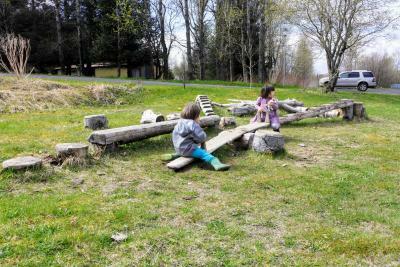 We were told lots about the Ecovillage and it's mission when we arrived which was interesting ! Would thoroughly recommend this gem. We arrived late (8pm) and missed directions for the check-in, but after calling someone came to pick us up. In the morning, we were looking for the good breakfast mentioned by other travellers, but we found only a basket in the fridge with some essentials (toast, butter, cheese, juice, milk and a cucumber) - not really fresh, not really, delicious - jam and eggs missing and not what you would expect of an ecovillage. Pool was closed and bathroom dirty. 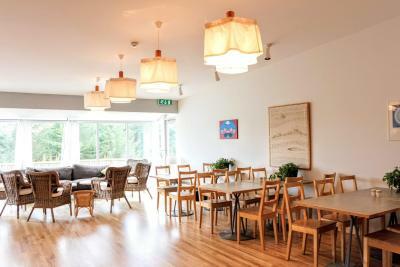 The location is perfect for a trip on the golden circle and the south cost and the common area is quite nice. We arrived for a late check in and didn't know exactly where we were supposed to go because the reception area was closed. They had left a note for us on the door with our cottage name and room number that helped make it easier to find. our key was left in the door. The shower smelled strongly of sulfur but it's how it is all over Iceland due to the geothermal heating of the water. The pool was not able to be used while we were there and one shower seemed clogged and got the bathroom floor wet when used. 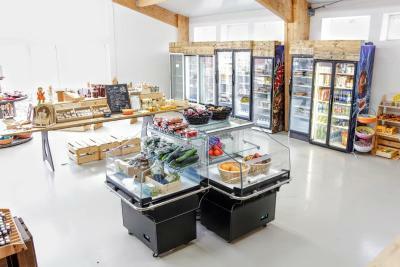 Would be good to get salami or other cold cuts in the breakfast basket as the nearest store/ restaurant is several kilometers away - but you are informed about it in advance, so you can prepare yourself. Only empty bottles of hand soap, so take your own cosmetics. We stayed in the smallest room without bathroom but toilet facilities and common area were located next door and there have been not so many people in October, so there were no problems with access to kitchen or toilet. Bed was comfortable and bed sheets were clean. It is a sustainable place, so you need to follow some basic rules with garbage, etc. Kitchen was well-equipped, so you can do some food on your own. In the bathroom, you may find a hairdryer in the drawer. Breakfast was rather simple but waiting in the fridge on the evening before. Toast bread, butter, cheese, tomato, paprika, milk&cereals, yogurt and orange juice. Had a hard time finding which guest house was ours in the dark. Would recommend getting there while it’s still light out! This place was great!! We got there late and the visitor center was closed the next day so we didn’t actually interact with anyone, but it was really nice. Breakfast basket was huge and everything was spacious and good quality. 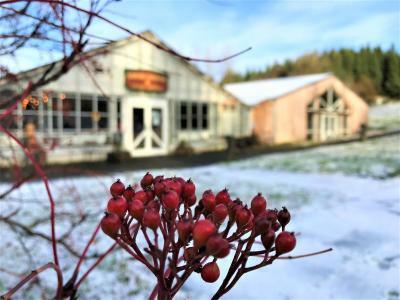 Tasty breakfast, great location in a small village, peaceful, well equipped, cozy and clean. Staff was very nice and hepful. 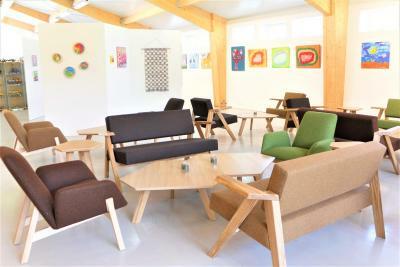 I loved the eco village concept and the staff were very friendly in explaining the background of the place. The breakfast was nice and the room was comfortable. 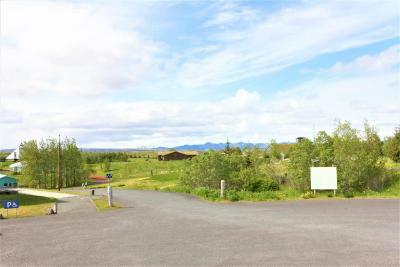 If you have a hire car, this is the perfect base from which to explore the south-west corner of Iceland. The property seems to be in decline. Tho everything was ok, the bedding was not great, the breakfast was meh, and they said they were out of a number of things, w no idea when things would be replenished. We stayed here at the end of the summer season and I’m sure that was a factor, but it sounded like there were no plans to reprint history of the property.